Hair is an important structure cosmetically. It forms the framework of the face, how we look is largely decided by the appearance of hair. Hair loss causes significant psychosocial problems and impacts the men severely. Fall of hair up to 100 per day is a natural phenomenon, but when these hairs do not grow again because of some reason it results in baldness. 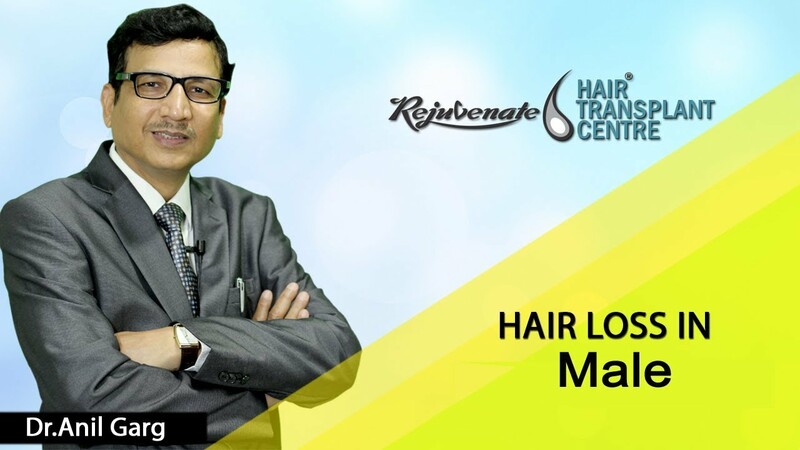 At rejuvenate hair transplant centre we use RHR(rejuvenate hair regime) + PRP therapy in combination to get effective results in 2 -4 months. 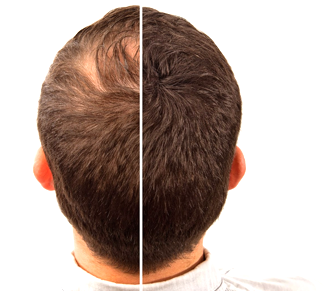 Androgenetic – This is the most common cause of hair loss in men. Men carry genes for hair loss from either or both parents. Hormone testosterone activates the genetic sequence which is responsible for hair loss. The age of onset, its rate of fall and grade of baldness depends also on some other factors and may be different in different persons. Other causes are Severe illness, Malnutrition, Vitamin deficiency, improper lifestyle, stress and pollution. Male pattern Hair loss is an inherited condition. It can be there even if Androgens are in normal range. It is aggravated if genes for baldness are inherited from mother or father. 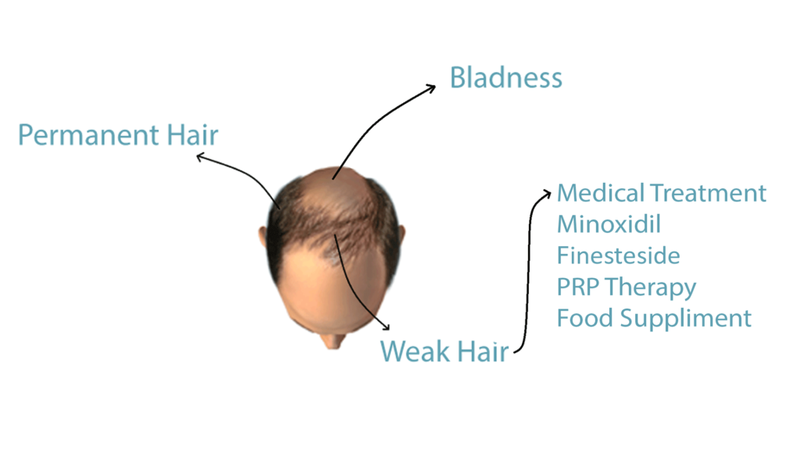 In men who develop MPHL, the hair loss may begin any time after puberty. The severity of MPHL increases with age and is a progressive condition. The clinical appearance is typical first thinning starts, the recession of temporal area followed by hair loss in the crown. Norwood and Hamilton classified this pattern into grades. Grade 1– No hair loss. Grade 3– cosmetically significant frontal hair loss. Grade 4-vertex- Significant frontal recession coupled with hair loss from the vertex. Grade 5 to 6– further frontal and vertex hair loss. Grade 7– Only the occipital scalp region maintain a significant amount of hair. Diagnosis– Some basic blood investigation – Vit B12, Vit D, Serum Ferritin, TSH(thyroid ) and blood sugar level should be done to know the nutritional status or a hormonal imbalance in the person. 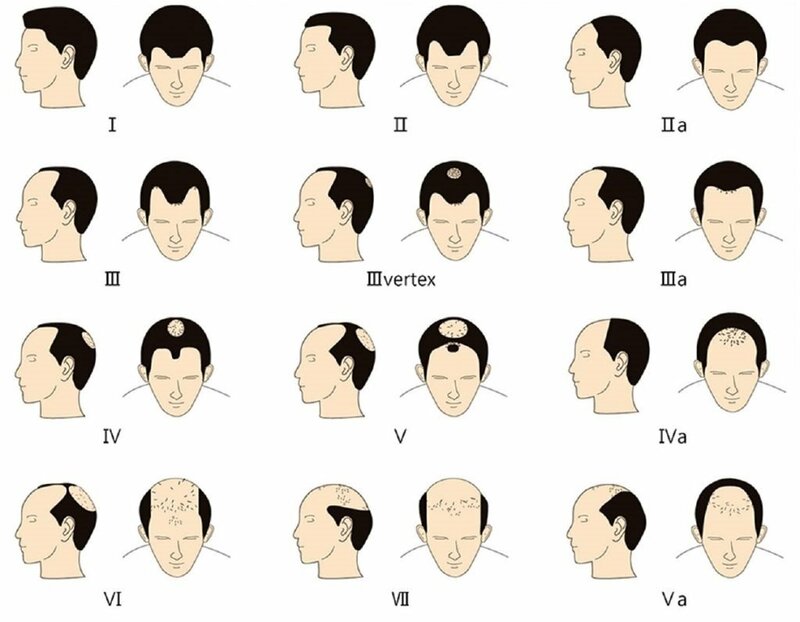 Differential Diagnosis– Alopecia areata, Traction alopecia, Telogen effluvium, Scarring Alopecia. To prevent or decrease the rate of hair fall medical treatment is a must. But for a lost hair transplant is needed. It prevents the effect of Hormone DHT on the hair by blocking the enzyme 5 alpha reductase. It takes a year to show its result. Side effects of finasteride are rare and reversible for more detail you should consult your doctor. It promotes hair growth by increasing the duration of hair follicle growth cycle (Anagen). It is most effective if applied twice a day on the scalp. It takes 6-12 months before results are visible. Low light laser therapy is also useful for hair growth. It works by photobiomodulation at the cellular level. Depending upon the grade of baldness or required density, We can use any one or combination of different techniques of hair transplant to get the best hair transplant result.